Must-See Residency Tips Webinar: Next Week! Residency applicants – listen up! 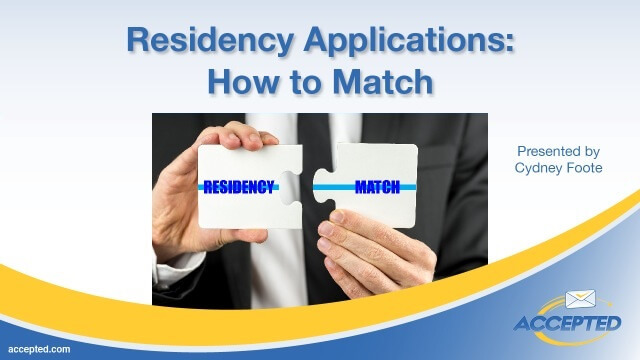 We’re hosting an important webinar, Residency Applications: How to Match, that will walk you through the residency application process, next week on Tuesday, August 19th, at 5:00 PM PST/8:00 PM EST. • How to choose the BEST program for you. • 6 common mistakes that trip up most applicants. • Advice on how to write a memorable, persuasive personal statement.